Recently, Amazon has announced the preview of Amazon Corretto, a no-cost distribution of standard Java featuring long-term support, giving Java users a potential alternative to Oracle’s own Java Development Kit (JDK). According to the company, Java is one of the most popular languages in use by AWS customers, and Amazon is committed to supporting Java and keeping it free. "We’re making [this] available to customers with no-cost, long-term support, with quarterly updates including bug fixes and security patches. AWS will also provide urgent fixes to customers outside of the quarterly schedule." wrote Arun Gupta, Principal Open Source Technologist at Amazon Web Services. "Once Corretto binaries are installed on a host and correctly invoked to run your Java applications (e.g., on Linux, using alternatives), existing command-line options, tuning parameters, monitoring, and anything else in place will continue to work as before." According to Company, Corretto 8 will be available at no cost until at least June of 2023. The company is working on Corretto 11, which will be available until at least August of 2024. Corretto 8 currently offers the features in 2014’s OpenJDK Version 8, not in the current OpenJDK 11. 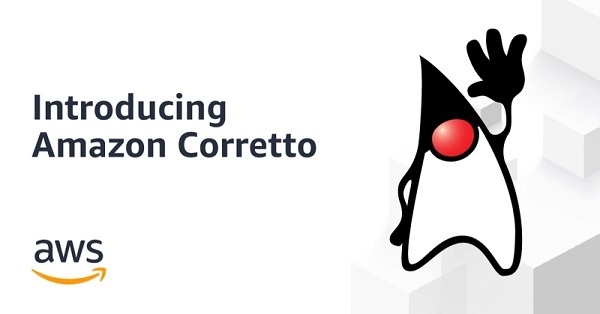 The future Corretto 11 version is expected to support OpenJDK 11's features by April 2019. The company plans for Corretto to become the default OpenJDK on Amazon Linux 2 in 2019.